LAUSD students to board members: We need a superintendent who will make brave decisions in supporting all — not just some — of us! In 1968, thousands of high school students in East Los Angeles walked out of classes to demand an equal and culturally relevant education. At the time, graduation rates for Mexican-American youth were abysmally low and corporal punishment was used to discipline them for speaking Spanish. These walkouts, the largest demonstrations by youth in the city’s history, came to be known as the Blowouts. School administrators initially pressured students and teachers to abandon their plans. When the students refused, the administrators barricaded doors to prevent anyone from leaving. Those who did were jailed, brought back, or in some cases beaten. Ultimately, the student walkouts succeeded in bringing about changes that leveled the playing field for people of color in schools. Among them were the introduction of ethnic studies classes and English language programs that today are regarded as best practices in public education. Some 50 years later, students across the country and at the school where I teach are seeking justice outside the classroom once again. After one of the deadliest school shootings in modern American history, our students are saying, “Enough!” and walking out of classes to demand meaningful policy change. Disruption of the status quo by young people is often met with skepticism at best and threat of punishment at worse. As word began to spread about the #Enough National School Walkout, educators like me grappled with how to respond. Should we engage students on the issues of gun violence and school safety? Would we encourage or punish them for walking out and leaving the safety of our campus to exercise their right to free speech? I believe that part of our responsibility as educators is to help students critically engage with current political realities and guide them in these acts of empowerment. 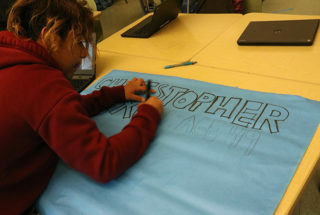 At Camino Nuevo Charter Academy in Los Angeles, we teach our students to be independent problem solvers and agents of social justice. We do this through an ethnic studies curriculum that teaches them about their culture and themselves. We do this through restorative justice and trauma-informed teaching that support our highest-needs students. And we do this by engaging them and their families on the issues that impact them daily. Teaching students about the root causes of gun violence and other issues that affect their lives, and allowing them to be active in a movement that seeks a more peaceful world, should be encouraged, not threatened with punishment. After the mass shootings in Las Vegas and Parkland, Florida, I held restorative circles with all my middle school classes. My objective was to address any trauma by helping students learn the facts of what happened, process the information, share their reactions and feelings, and ask questions. I was not sure how my students would react the day after Parkland. I was worried about them breaking down and crying in class as much as I was about them feeling numb or indifferent. I felt it was my duty as someone who cares for my students’ social and emotional well-being as well as their academic growth to provide a safe space for them to process the tragedy. As a result of these community-building exercises, I was able to refer a few students to counseling and also began to see the seeds of student action. These exercises led to an assignment that my students took on with enthusiasm. I asked them to research three proposals to prevent school gun violence and write a letter to someone in a position of power. Many of them chose to write to California Gov. Jerry Brown. I was impressed with their thoughtful and persuasive responses. By allowing students to process and engage with these controversial issues in developmentally appropriate ways, we can create healing spaces for students who might not have other alternatives. I believe schools should help foster an active desire for students to engage in issues that are affecting their communities and could affect their future families. By teaching our students about young activists — like those in the East LA Blowouts and the Parkland survivors who are now outspoken advocates for gun control — we give them a vision of what young people can accomplish. Today, my students continue to make progress toward becoming those leaders by participating in a 17-minute walkout at our school. They will walk onto our soccer field carrying posters of those who lost their lives to gun violence and lead a moment of silence. Several of them will read aloud the letters to the governor that they wrote in my class. As an educator, I feel a duty to not only academically support my students, but also to encourage and empower them at a time in our country when many of them feel powerless and dehumanized by people in power. My students are not waiting for the change they want to see. They are taking action and seeking justice, and as their teacher, I could not be more proud to walk alongside them. Pablo DePaz teaches ethnic studies to middle school students at the Sandra Cisneros Campus of Camino Nuevo Charter Academy in Los Angeles.